Sharee Adkins is the Executive Director of the Northwest Credit Union Foundation. In this role, she amplifies the impact credit unions have in our community by forging and leveraging partnerships to achieve ambitious goals in the Foundation’s priority areas of asset building, economic empowerment, and cooperative development. Adkins holds a bachelor’s degree in sociology from Boise State University and a master’s degree in organizational leadership from University of Idaho. Adkins joined the Northwest Credit Union Foundation after 12 years leading fundraising efforts and implementing large scale initiatives at public and nonprofit organizations in Idaho and Washington. Adkins is excited to bring her passion and years of nonprofit experience to help the credit union movement amplify its positive impact in communities across Idaho, Oregon, and Washington. Claire Hendrix is the Program Director for the Northwest Credit Union Foundation. In this role, she develops and manages the Foundation’s grant portfolio to improve the economic prosperity of credit union communities and promote financial health across the Northwest. She is actively involved in launching the Foundation’s workforce housing initiative and collaborating with credit unions to further the impact of the Foundation’s key priority areas of asset-building, economic empowerment, and cooperative development. Hendrix attended the University of Portland, where she received her bachelor’s degree in Sociology and Social Justice followed by attending the School for International Training for a master’s degree in Sustainable Development. After several years in the nonprofit space, she joined the J. A. and Kathryn Albertson Family Foundation, where she supported and managed a variety of education and community initiatives across Idaho. She is excited to bring her program management skills and passion to the credit union movement to further its impact in Northwest communities. Growing up in rural areas and being involved in her family’s local farm store, Hendrix has always understood the power of exceptional customer service and putting the community first. She greatly appreciates the proactive way credit unions engage in the financial health of their members and support the greater community. Kaitlin Ramos is the Northwest Credit Union Association’s Strategic Partnerships Manager. 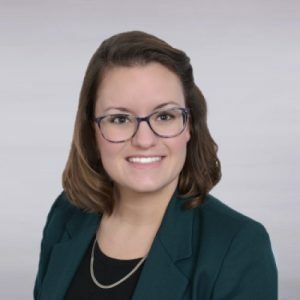 In this role, Kaitlin connects credit unions with strategic business partners to achieve win-win-win results on the Strategic Link team. Additionally, Kaitlin works with the Northwest Credit Union Foundation overseeing scholarships and grants, Financial Reality Fairs, the Northwest MESA Program, and Friends of the Foundation. Kaitlin is originally from Spokane, Washington, and is a graduate of Eastern Washington University. Her background is in event management. 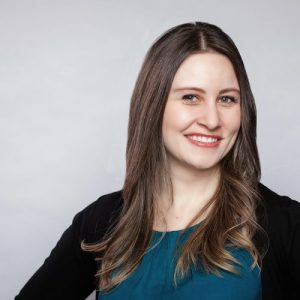 Formally, Kaitlin was the Events Director at Greater Spokane Incorporated (GSI), the regional chamber of commerce and economic development organization for the city. Also in Spokane, Kaitlin served on the board of Executive Women International as the Sergeant at Arms and the Program Director and was involved in Spokane Young Professionals (SYP). The people helping people philosophy is what Kaitlin loves most about credit unions.